Yes! 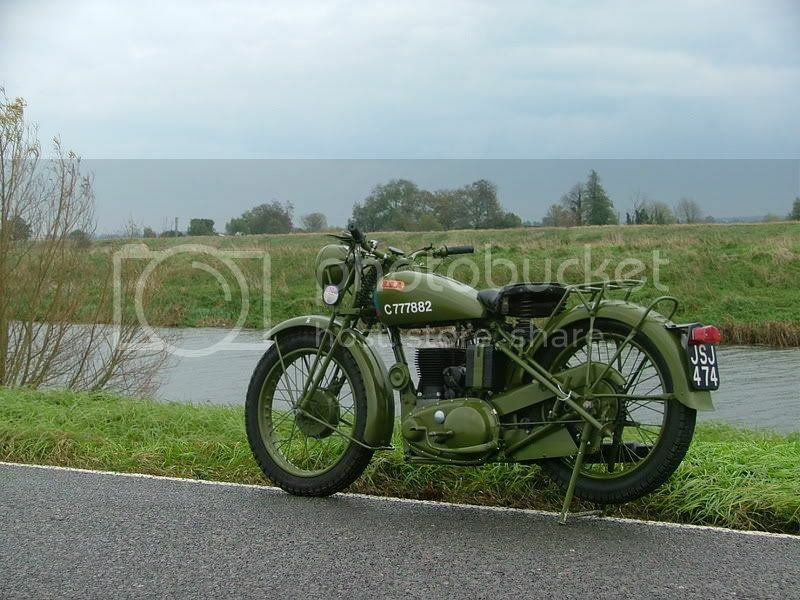 It's the M21 again, (Apologise, But it is a BSA ) and this time I want to tell you about finding the previous owner. I bought the M21 getting on for nearly 4 weeks ago now and I had been wondering about its previous history and owners. So I wrote middle of last week to the last address on the V5 vehicle registration document. Whoah and behold! I got an email reply yesterday afternoon! Fantastic! The guy had bothered to take to keyboard and write a nice long reply to some of my questions. He even has some remaining green paint left over for me to have. So I am told that it WAS an ex army bike as it had been saved by him as the bike was a rusted heap standing behind some caravan down south near Reading, He did the complete, whole restoration of the machine back in 1995-97. Also some very useful information, and that was, what exactly he had done to the troublesome magneto, seems he did a good job as far as he could, however not many dare to go into rewinding and placing of condensers but he had done all the rest like bearings seals and gaskets etc. Here is a photo for those who have not seen the bike! Ahh well that's my weekend story for ya. Page created in 0.774 seconds with 24 queries.